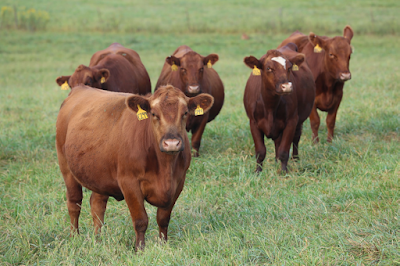 What does it take to create Valuable Feeder Cattle? 1. Starts with the right mindset. 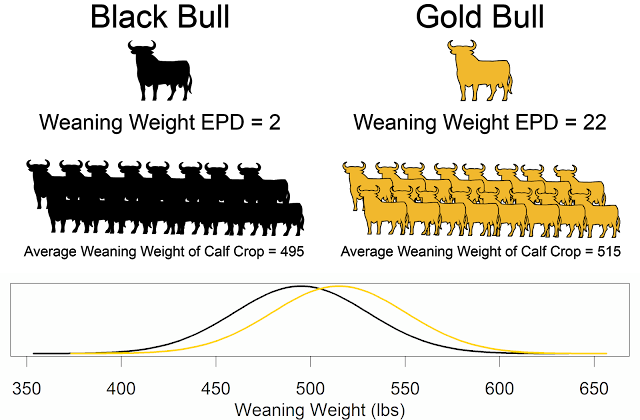 We can have cattle that excel for both maternal and carcass traits. 2. Understand the key value attributes for cattle going through the supply chain, then breed and manage your cattle accordingly. Cattle that stay healthy, grow and grade are winners! If it takes more than two sentences to describe the breed make-up of your cattle, it shows that you don't have a plan for your cattle. If you don't have a plan for your cattle, you can expect to receive discounts on your cattle. If you can briefly describe your cattle, e.g. 100% Char-Angus, 100% Red Angus on Santa Gertrudis, 100% SimAngus, etc. 3. Plug in to a value-added marketing program. What makes your calf crop unique? What is noteworthy about your calves? Providing these to prospective buyers shows that your are serious about your cattle. You need to be intentional about marketing your cattle. We are very discriminating buyers when we are purchasing a bull. Unfortunately, we all too often sell our calf crops as a commodity. We need to rethink this attitude and practice. When we create valuable cattle, we need to put a label on it so that buyers know they are valuable. What will it take to EARN a premium from feedyards? Load lot groups will always receive more. Are there options to partner with a neighbor? High genomic steers outperformed low genomic score steers for every trait, and the high genomic scoring steers were $50 more profitable.